(CNN) She was the face of the North Korean delegation at the Winter Olympics in South Korea this year, and had a seat at the table for the most significant peace talks between the two nations in decades. More than family, Kim Yo Jong is a senior member of the North Korean government, under the firm leadership of her elder sibling Kim Jong Un. Kim’s profile has been steadily rising since 2014, when she given the key regime role of deputy director of the Propaganda and Agitation Department of the Workers’ Party. In April, the younger Kim was the only woman among six delegates at April’s historic talks between North and South Korea at the demilitarized zone (DMZ) that separates the two countries. 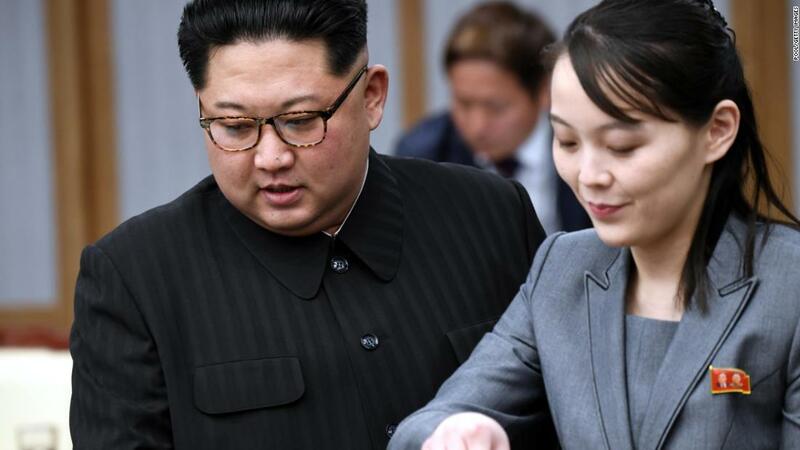 While she diligently took notes as her brother spoke and sought no moment in the spotlight, the 30-year-old has been widely seen as instrumental in making the summit happen. It was Kim, as the first member of the North’s ruling dynasty to visit the South since the Korean War ended in an armistice in 1953, who delivered a message to the South for a desired detente at the Olympics. And it was Kim who personally delivered a letter on her brother’s behalf to South Korean President Moon Jae-in, as communications resumed between the nations. But Kim’s acts of public diplomacy are highly choreographed, and, like most members of the Kim clan, little is definitively known about her or her motivations, beyond her official duties. Born in 1987, Kim studied in Switzerland like her brother, and is believed to have attended Kim Il Sung University and a European school for her higher education. She is believed to be the youngest of seven siblings their father, Kim Jong Il, had with four women.Many of them are half-siblings, but Kim shares the same mother with the North Korean leader. Kim was always close to her father, and after returning from Switzerland she was appointed to positions of responsibility in the government, according to Michael Madden, who runs the blog North Korea Leadership Watch. She would act as an advance-team leader, inspecting sites before official visits and taking on administrative duties. Under her brother’s leadership, Kim has taken on more responsibility, dealing with policy, receiving intelligence briefings and acting “almost like a White House chief of staff would,” said Madden. She is now among her brother’s top 20 officials, and is seen as something of a gatekeeper to the leader, according to analysts. “She’s probably one of the most influential people on Kim Jong Un himself, precisely because he has very few people he can trust,” said Balbina Hwang, visiting professor at Georgetown University and founder of the National Committee on North Korea.